Tooele County School District Network Operations Supervisor Brady Grover checks the connection wire on an air monitor sensor at the district’s office. Brady Grover checks the app for readings on air quality at locations in Tooele County. The school district has installed air monitoring sensors at every public school in the county. 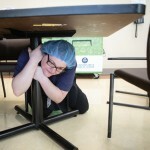 The Tooele County School District has a new tool to help safeguard the health of its students. 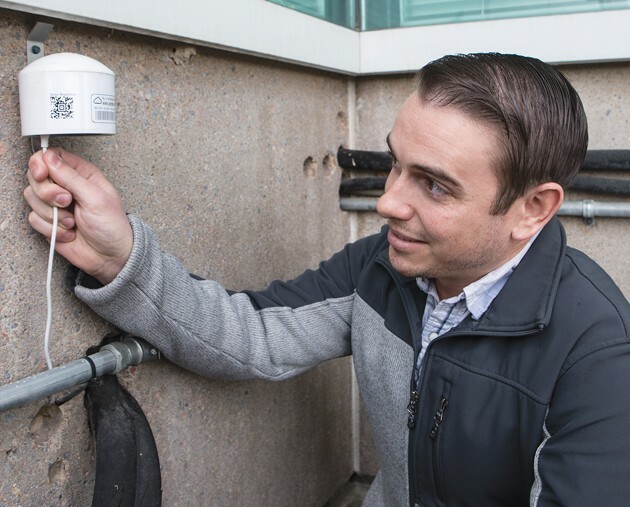 Air quality monitors have been installed on all of the district’s schools that sample the air and report in real time the Environmental Protection Agency’s Air Quality Index. School principals can use the data from the sensors to determine if outdoor activities, such as recess, should be restricted so students can avoid inhaling potentially harmful air, according Marie Denson, the school district’s communications director. The district has no official board adopted policy on air quality, but the district’s procedure for bad air days calls for principals to make the decision on outdoor activities, according to Denson. During winter months when temperature inversions are common, air quality is more likely to be poor. Inversions are caused when warm air aloft traps cold air and pollutants beneath it. At elementary schools, students may be kept indoors during recess when air quality is poor. 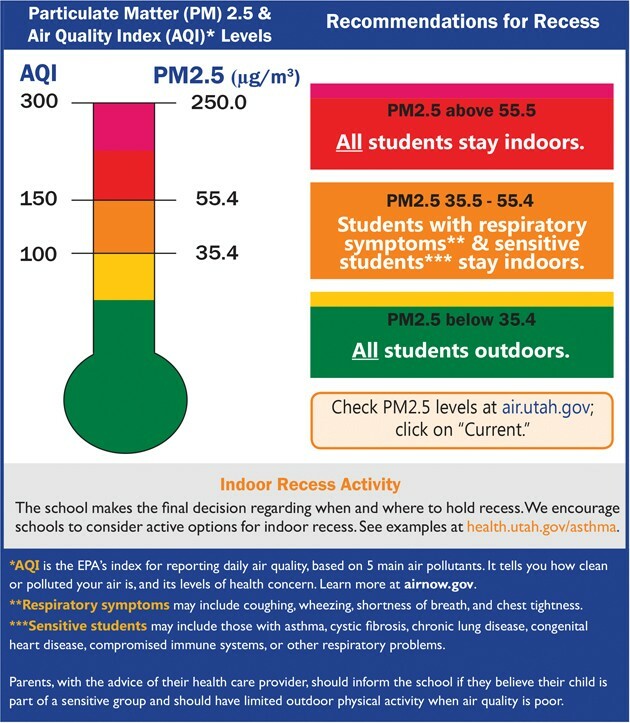 At secondary schools, principals may use air quality information to make decisions on outdoor activities such as physical education and sports team practices. Prior to having monitors at each school, the school district had to rely on the state Division of Air Quality’s report on Tooele County’s overall air quality. 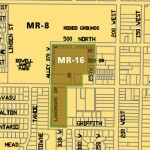 “The district is quite large geographically and air quality can differ from school to school,” Denson said. The monitors use a laser particle counter to provide data to calculate the level of particulate matter in the air. 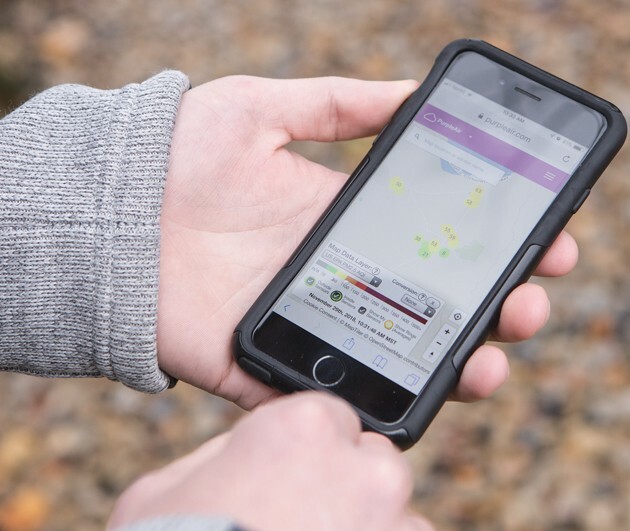 Using a WiFi connection and internet connectivity, PurpleAir calculates the Air Quality Index and displays the air quality data on a map. PurpleAir displays the particulate matter, or PM, numbers for PM 2.5 and PM 10 micron ranges. It also tracks particle counts in six sizes between 0.3 micrograms and 10 micrograms. To get an idea of the size of these particles, there are approximately 25,000 microns in one inch. A typical grain of table salt is about 100 microns. These small airborne particles can be breathed deep into lungs and some may even get into the bloodstream. Of these, particles less than 2.5 microns in diameter, also known as fine particles or PM 2.5, pose the greatest risk to health, according to the EPA. Inhaled particulate matter may affect the respiratory, pulmonary, cardiovascular and reproductive systems, according to the Tooele County Health Department. The AQI is expressed in a numerical value that runs from 0 to 500. The higher the AQI value, the greater the level of air pollution and the greater the health concern. AQI values at or below 100 are generally thought of as satisfactory, with air pollution below limits determined by the EPA. The levels of health concern are indexed by color. They start out at good green air, and as the AQI increases, the color changes from yellow to orange to red to purple to maroon air. The Utah Health Department has developed guidelines to help school districts determine when to limit outdoor activities based on air quality. Their guidelines recommend that at the green and yellow levels, with an AQI of under 100, all elementary students should be outdoors for recess. At the orange level, when the AQI is between 101 and 150, the health department suggests that students with respiratory symptoms and sensitive students should stay indoors. When air quality reaches the red or maroon level, indicated by an AQI over 150, all students should stay indoors, according to the state health department. PurpleAir creates an interactive map with the air quality data collected by its monitors. To see the map with the data for Tooele County Schools, go the the school district’s website, https://www.tooeleschools.org, and click on the cloud icon near the upper left corner. On the PurpleAir map, each air quality sensor is represented by a colored circle with the AQI index number inside the circle. The color of the circle corresponds to the level of health concern. Select a circle on the map and a box is displayed that gives the location of the sensor, the AQI in current real time, the level of health concern determined by the AQI, and a brief history of the AQI level. A graph is also displayed that gives more information on different counts, relative weights and sizes of particulate matter in the air. The monitors also collect and display data on temperature and humidity. The idea to put monitors on all of the schools in Tooele County started in the 2017-18 school year at Overlake Elementary School. A meteorologist who did a program at the school arranged to have a PurpleAir monitor donated to the school. 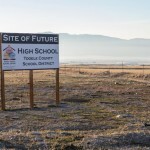 Tooele County School District Superintendent Scott Rogers liked the concept and wanted to ensure each school had the ability to monitor air quality for students and staff, according to Denson. As a result, the school district purchased 25 monitors and had them installed by district staff at all schools, including Wendover and Ibapah. The school district office and the bus garage also have air quality monitors. They cost approximately $200 each. The monitors the district purchased are personal or home quality monitors and will have a life expectancy of about five years, according to Denson.